Casts students in the role of judge to rule on 75 actual U.S. Supreme Court cases! 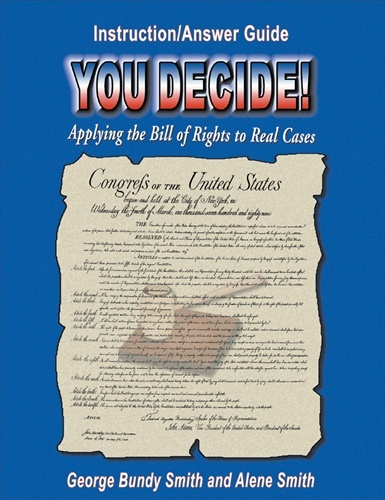 This Instruction/Answer Guide includes objectives, suggestions, a graphic organizer to keep track of facts in each case, and the Supreme Court decisions. 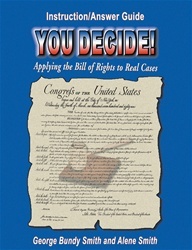 Because the student book does not contain the court decisions, use of the Guide is essential.